WASHINGTON - The U.S. Department of Veterans Affairs has taken action against two senior officials in Cincinnati following a federal investigation into allegations of wrongdoing at Cincinnati’s VA Medical Center. 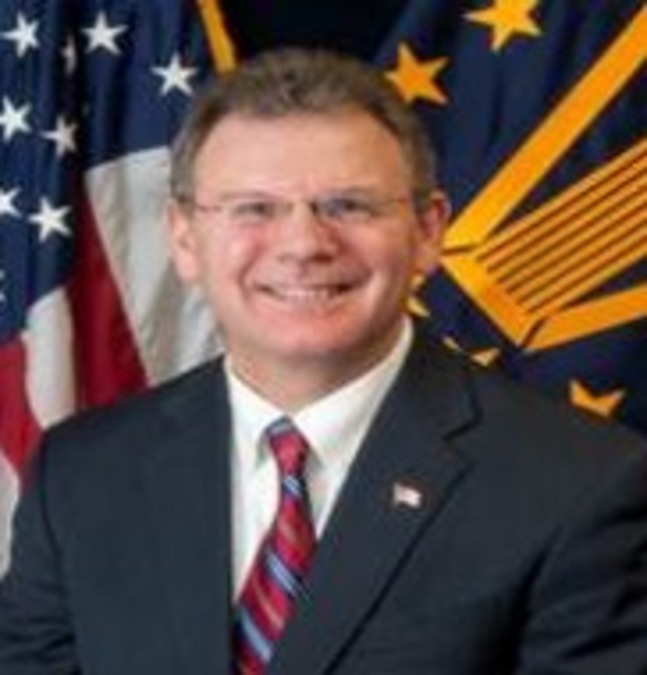 Network Director Jack Hetrick submitted his retirement after VA Deputy Secretary Sloan Gibson proposed his removal as the agency’s highest-ranking VA official in Ohio, Indiana and Michigan. Dr. Barbara Temeck, the hospital’s acting chief of staff, was reassigned to non-patient-care duties and her medical privileges were summarily suspended by VA Undersecretary for Health, David Schulkin. Dr. Temeck could face additional actions, according to the VA press release. The VA said Dr. Temeck’s “salary and benefits remain unchanged” by Thursday’s action and Hetrick’s retirement package will not be reduced. “Once the employee accrues enough years of service to retire, he or she can do so irrespective of any proposed or final removal action, and the calculation remains the same,” said VA Media Relations Director James Hutton. Hetrick and Dr. Temeck were at the center of a Scripps News Washington Bureau and WCPO investigation into cost cutting and questionable management practices at the Cincinnati VA. The four-month investigation followed complaints raised by 34 current and former VA employees who had “urgent concerns about the quality care” at the facility. According to documents obtained by Scripps/WCPO, Dr. Temeck prescribed controlled substances, including hydrocodone and a generic form of Valium, to Hetrick’s wife. State and federal authorities confirmed Dr. Temeck does not have a valid controlled substances license that would allow her to write prescriptions privately for Mrs. Hetrick. The VA joint team conducted the site visit to investigate allegations of professional misconduct on the part of Temeck along with allegations that she directed the referral of Veterans for care in the community as a cost-shifting mechanism, resulting in poor quality of care. The team did not substantiate any impropriety with respect to community care referrals or quality of care for Veterans. However, the team did substantiate misconduct by both Hetrick and Temeck related to Temeck’s provision of prescriptions and other medical care to members of Hetrick’s family. VA OIG has accepted VA’s referral of the substantiated allegations for potential criminal investigation. VA officials also on Thursday appointed Robert McDivitt as Acting Network Director for the region including Cincinnati. McDivitt takes Hetrick’s place. McDivitt was the Medical Center director in Ann Arbor, Michigan. He has been an Acting Network Director twice in the past. He was also the Director of the VA Medical Center in Fargo, North Dakota from 2006 to 2009. Republicans in the House reacted to the VA’s announcement about action against Hetrick and Dr. Temeck with calls for Senate passage of the VA Accountability Act, which would make it easier for the agency to quickly fire problem employees. The measure passed the House last July. “These politicians need to decide: would they rather stand with our veterans or with disgraced bureaucrats,” said Rep. Brad Wenstrup, a Republican serving Ohio’s 2nd Congressional District. Senator Sherrod Brown, D-Ohio, said the VA’s action is “long overdue” but not sufficient. “Our work is not done,” Brown said. “I look forward to bringing Secretary (Bob) McDonald to the Cincinnati VA to hear directly from whistleblowers, and I will continue pressing for a quick and thorough investigation so we ensure the problems they brought to light do not continue and veterans get the highest quality care."